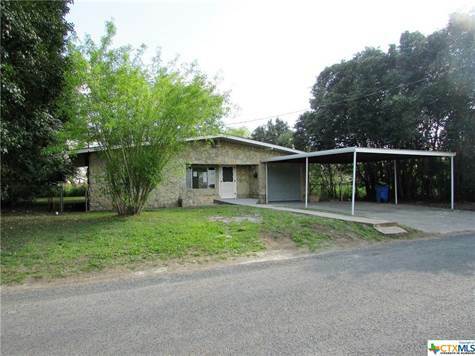 This roomy 3/1 home has a nice fenced & gated backyard w/mature trees & concrete patio. Fresh paint. New wood look flooring throughout. New roof. Kitchen with new counters, cabinets & range! Adjacent dining area with sliding glass door to back yard. Large bathroom has vessel sink and tile tub/shower combo. Three good sized bedrooms. Central air/heat. The attached one car garage would make a great man cave, party room or 4th bedroom. Carport. Freshly poured ramp to front door.